Quickly sharpen your lawn and garden tools for better performance. 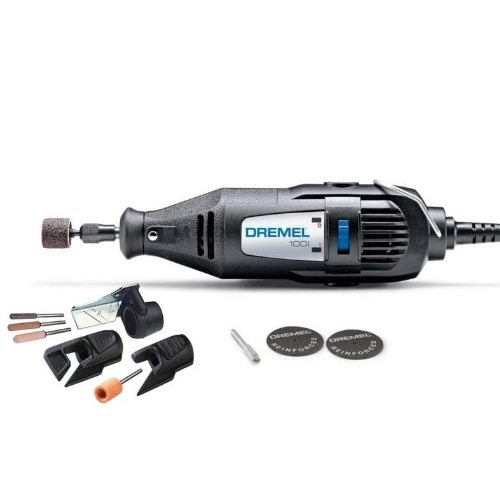 The Dremel lawn and garden rotary Tool Kit includes a 100 series single speed rotary tool and three attachments necessary for sharpening your lawnmower blade, garden tools, and chainsaw. The kit also includes the Grinding Stone accessories that work best with the included attachments.